In Languages we aim to inspire our students through an innovative and creative curriculum. We aim to increase student confidence through use of the target language in order to develop each individual’s competence in French, German, Mandarin Chinese or Spanish. We have decided that all of our students should start their Languages studies with beginners German. This is due to the increased importance of Germany as one of the leading countries in business and commerce in Europe. Also German is the most widely spoken European language. Studies have shown it is one of the easiest foreign languages to acquire as a beginner and as an English speaker. Our students’ can then opt to change to a different foreign language either French, Mandarin Chinese or Spanish; these languages are introduced in Year 8. Alternatively students can continue with German in Years 8 and 9. Some students are offered the chance to study two modern foreign languages during Year 8 and Year 9. Currently we offer optional GCSE courses in French, German, Mandarin Chinese and Spanish. We have the capacity to teach all of these languages at A-Level. The curriculum is enriched by providing exciting trips, clubs and competitions. We have high expectations of all abilities and students are mostly taught in mixed ability groups in all key stages. 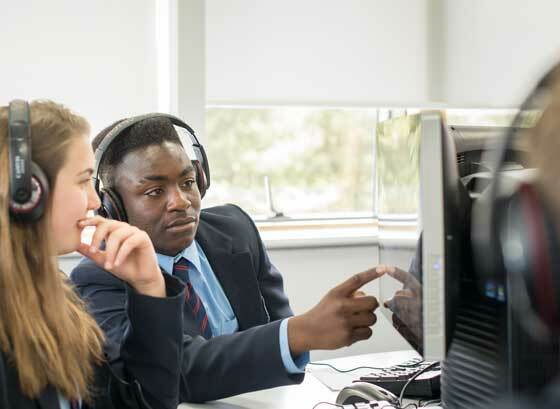 Students study in challenging and collaborative lessons using a range of resources including regular use of ICT. Students are encouraged to understand the culture of the countries where each language is spoken.